Do you have a budding artist in the family? 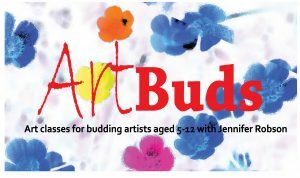 Artbuds is an after school class at Off the Rails Arthouse, Ladybank. It is set to inspire and engage your mini artist. These fun classes focus on nurturing your child’s creative confidence. Your child will learn how to use creative exploration to engage with the world around them. They will be introduced to age appropriate different materials and techniques. They will also learn all-important drawing skills needed for enjoying a creative life. They will work on themed projects, along with an individual focus on their unique interests. There will also be opportunities to exhibit their work at Off the Rails.